A book-length study of the relationship between early modern drama and sacramental ritual and theology. This book examines a range of dramatic forms, including morality plays, Tudor interludes and the Elizabethan professional stage. It uncovers neglected texts and documents, and ... read full description below. Drama and the Sacraments in Sixteenth-Century England is the first book-length study of the relationship between early modern drama and sacramental ritual and theology. The book examines a range of dramatic forms, including morality plays, Tudor interludes and the Elizabethan professional stage. 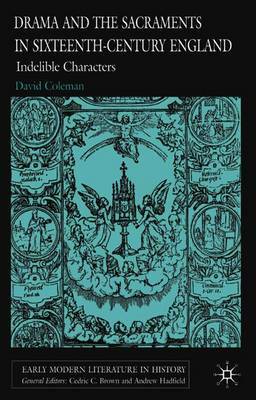 Offering new insights into the religious practices on which early modern subjectivity is founded, David Coleman both uncovers neglected texts and documents, and offers radical new ways of reading canonical Renaissance plays. DAVID COLEMAN is Lecturer in Early Modern Literature at Nottingham Trent University, UK.